Breaking the silence around Child Sexual Abuse, one listener at a time. Child Sexual Abuse is a violation that affects a child’s life in a number of ways, especially if they are not believed, forced to keep the abuse secret or if no one stops it from happening. Children who are victimized must be believed. Perpetrators must be held accountable for their actions. Support for survivors must be a community effort, all the time. Educating the community and encouraging discussion and prevention efforts around this crime are two of WCSC’s goals for this innovative project. 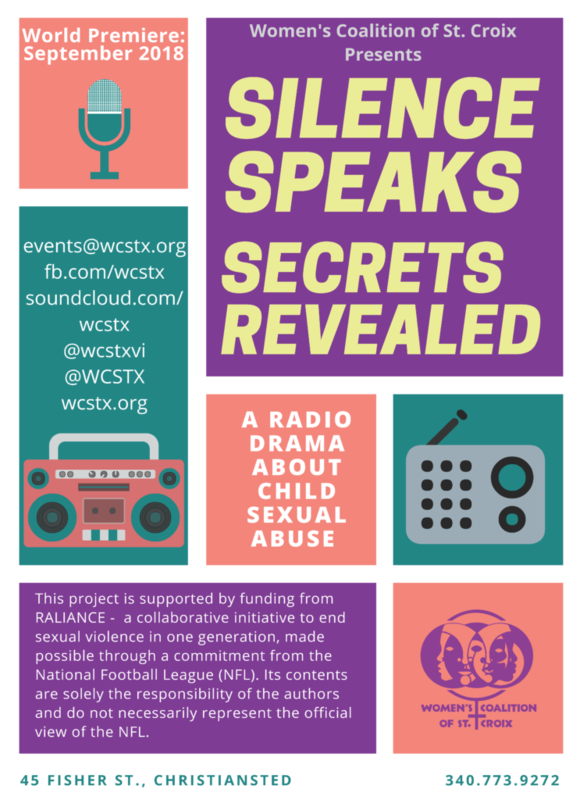 Silence Speaks, Secrets Revealed (SSSR), our 26-episode radio drama, was produced with funding from RALIANCE, a stateside collaborative initiative to end sexual violence in one generation. The drama was written for WCSC by educators and “artivists,” Regina Keels and Sayeeda Carter. Let’s Talk About It, our weekly, call-in talk show that airs after new episodes of SSSR, features guest experts, who discuss the latest episode, answer listener questions and provide information on prevention and assistance for survivors. 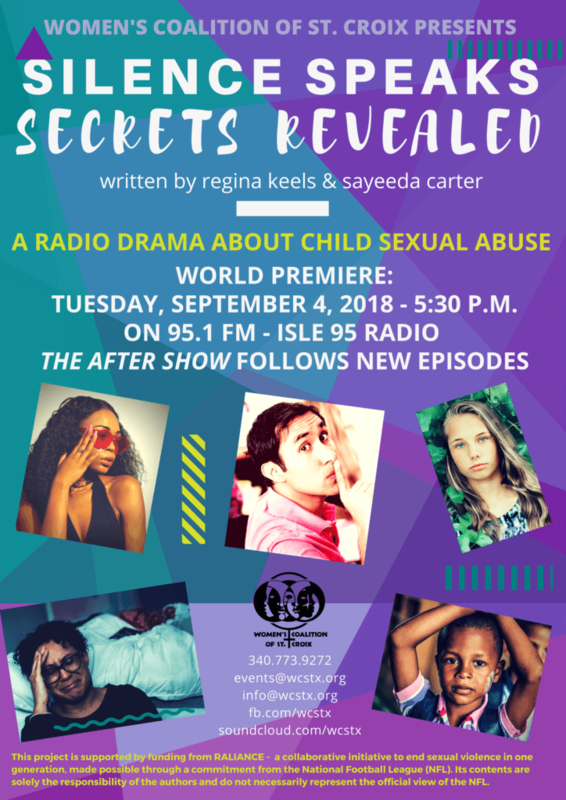 The 30-minute segments are produced and broadcast in partnership with JKC Communications, the parent company of 95.1FM – Isle 95. Catch new episodes of Silence Speaks, Secrets Revealed and new segments of Let’s Talk About It on Tuesdays, at 5:30 p.m. AST, on WJKC, 95.1FM. New episodes are rebroadcast on all five JKC radio stations, and on other local stations, during the week after the premiere. Contact WCSC at 340.773.9272, for more information on services for survivors of child sexual abuse.